The streets of Monaco are no stranger when it comes to rare supercars, being home to the Monaco Grand Prix it’s very common to have rare and expensive cars roaming the streets pretty much every day. This SLR-McLaren is no ordinary supercar, its a one-off creation by German tuning company Fab Design and resembles something out of the popular video game Need For Speed. The SLR-McLaren is one of the greatest collaborations of all time, it was built back when Mercedes-Benz still owned 40 percent of the British sports car company McLaren. 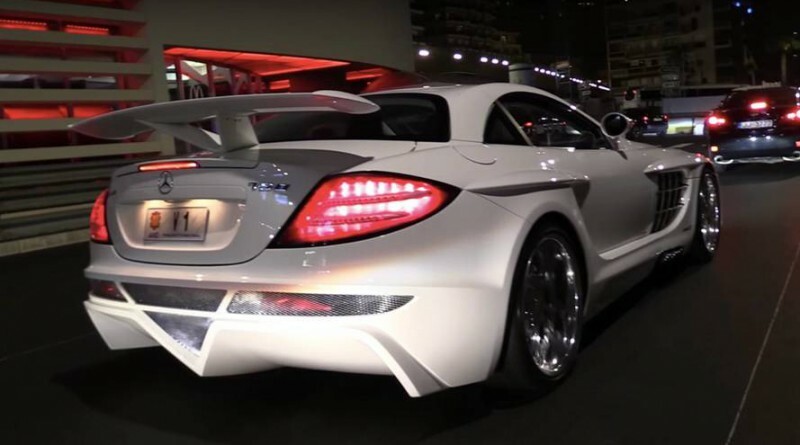 The design behind this SLR McLaren is wild but the real excitement comes from hearing the magnificent sound coming from the engine and exhaust. You will notice dozens of car enthusiasts and fans that line up on the streets to capture photos and videos of this unique supercar. The V1 license plate is also pretty cool, it leaves you to wonder what other machines the owner has waiting in his stable. We highly recommend you spend the full 3 minutes to watch the video below which was taken by a well-known supercar spotter while in Monaco for the Top marques 2018 event.